We often describe our choir as a “community that sings.” For so many of our singers, Renaissance City Choir is a safe place. It’s where we can go each each week to rebuild our hope and galvanize our resolve. It’s where we can express and celebrate our identities without shame or fear. I wish that every person who attends our concerts could know what it feels like to have that kind of community. I hope that the music we perform for you gives you at least a glimpse of the powerful connection our members have and how much the choir means to each of us. Now more than ever, this kind of community is vital. And that’s why I’m asking for your support. For over 30 years, Renaissance City Choir has worked to affirm and celebrate LGBTQ+ identity through the unifying power of music. Like many arts organizations, ticket sales only fund a portion of our operating expenses. It is only with the help of supporters like you that the music can continue! I hope you will consider making a one-time or recurring gift to RCC today. 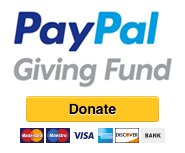 If you have a Paypal account, you can make a one-time gift with your account balance or credit/debit card through Paypal Giving Fund and RCC receives 100% of your donation. Click below to donate. If you do NOT have a Paypal account, click below to make a gift with your credit/debit card or bank account via Paypal. (If you have a Paypal account, please use the Paypal Giving Fund donation link). You can maximize the impact of your charitable donation to the Renaissance City Choirs by checking to see if your employer has a matching gift program. Some local companies with matching gift programs include Bank of America, BNY Mellon, Highmark, PNC, Verizon, and many more. Direct any matching gift documents to our mailing address above or to rcc@rccpittsburgh.com.